Caithness Horizons in Thurso will be closed down later on Thursday because of financial difficulties. The museum's management said they were sad to announce the decision to shut the site. In a statement, management thanked everyone who had supported the museum over the last 11 years. The statement went on: "This is a particularly difficult announcement for our remaining staff and we want to pay tribute to everyone who has gone above and beyond to try and make it a success, whether staff or volunteer, past or present. "Over the years, the Caithness Horizons team has worked hard to ensure that our local culture and history has been shared." 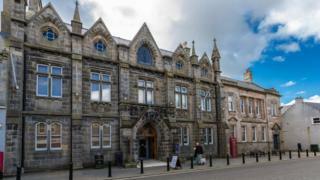 Highland Council owns the museum's former town hall premises. A spokeswoman for the local authority said: "The council is in discussion with Caithness Horizons."